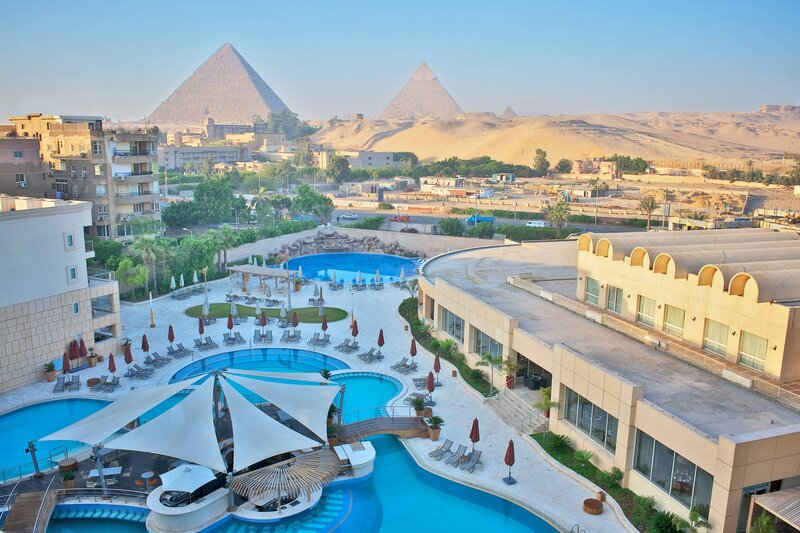 Le Méridien Pyramids Hotel and Spa, nestled between the city and the wilderness, boasts unparalleled views of the majestic, ancient splendor of the Giza Pyramids. A mere glance out a guest room window reveals one of the Seven Wonders of the World. 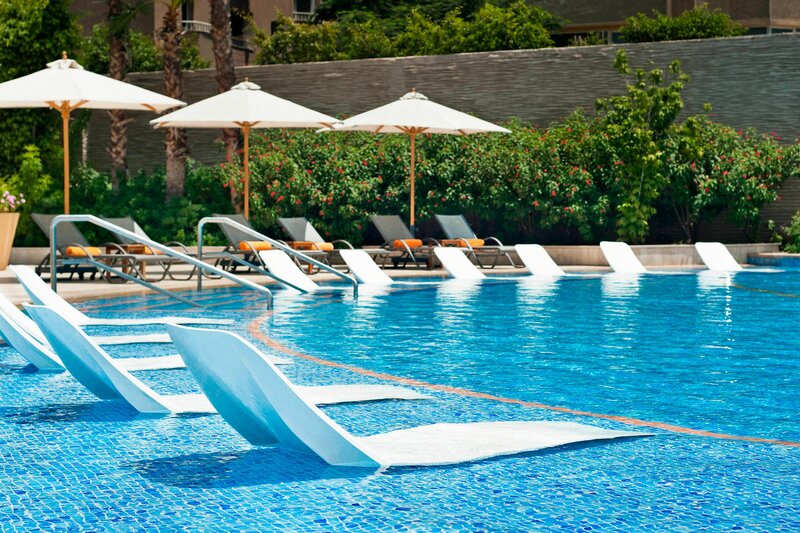 Le Méridien Pyramids Hotel and Spa is surrounded by landscaped gardens, which provide a respite of greenery amidst golden sands. With 641 guest rooms, a peerless choice of restaurants and cuisines, a magnificent swimming pool and spa amenities, this 5-star hotel offers guests everything they could possibly need. 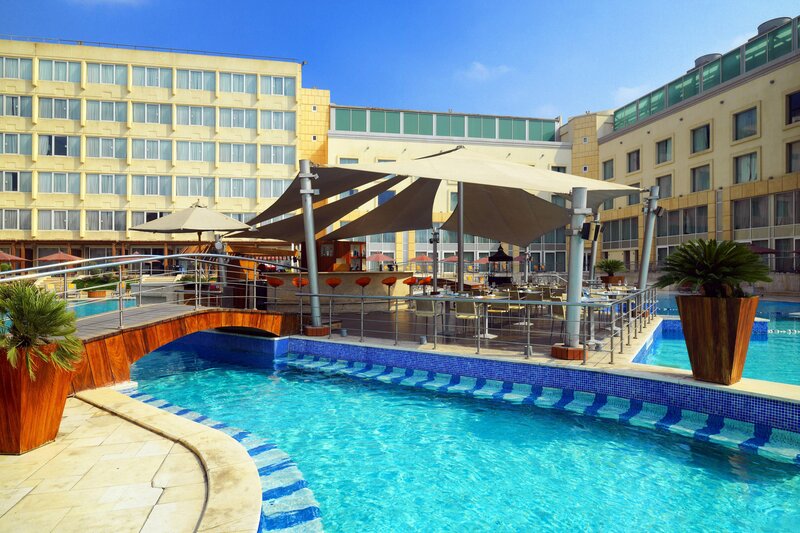 The hotel is also conveniently located a mere 20 minutes from Cairo&apos;s city center. 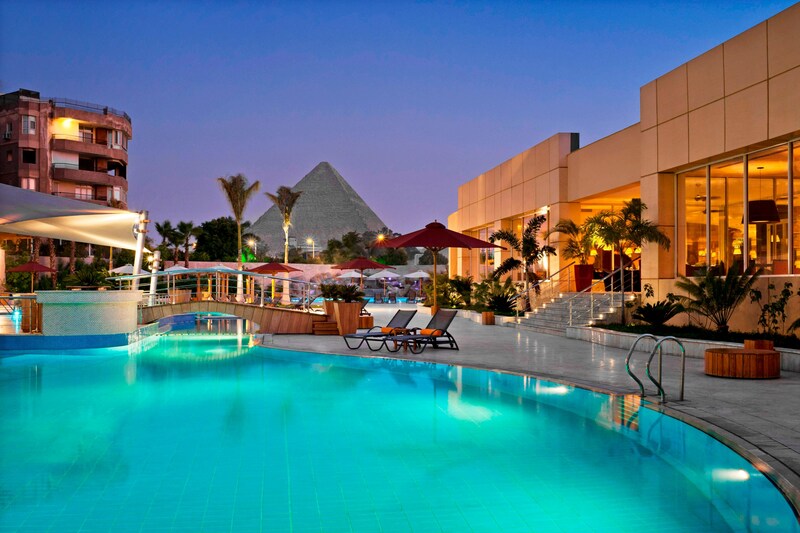 Experience a luxurious, unique and comfortable stay at the Le Méridien Pyramids Hotel and Spa. Explore Spa by Le Méridien, where indulgence is not just for the body, but for the spirit and the imagination. A spa that pulses with life. And fuels your curiosity as it satisfies it. Where signature treatments energize the creative self. At the heart of Explore Spa is a fresh perspective on the traditional spa layout and design. It is inspired by the rich traditions of social European spa cultures yet breaks through today’s preconceived notions of tranquil spa environments. After a cool dip, discover our brand new restaurant + bar located near the swimming pool; Citrus serves Lebanese cuisine and international snacks. Located near the swimming pool, Citrus serves Lebanese cuisine and international snacks. A DJ and a belly dancer perform from 7pm to midnight on weekends. Satisfy your desires with a Glamorous Wedding Begin your fairy tale in spectacular surroundings of elegance and beauty and step into a dream of endless magic on your long-awaited special day. Our ballrooms are the perfect place for your wedding, offering extensive space with seating capacity up to 450 guests for making your wedding day much more memorable, with the finest venues , facilities and services. 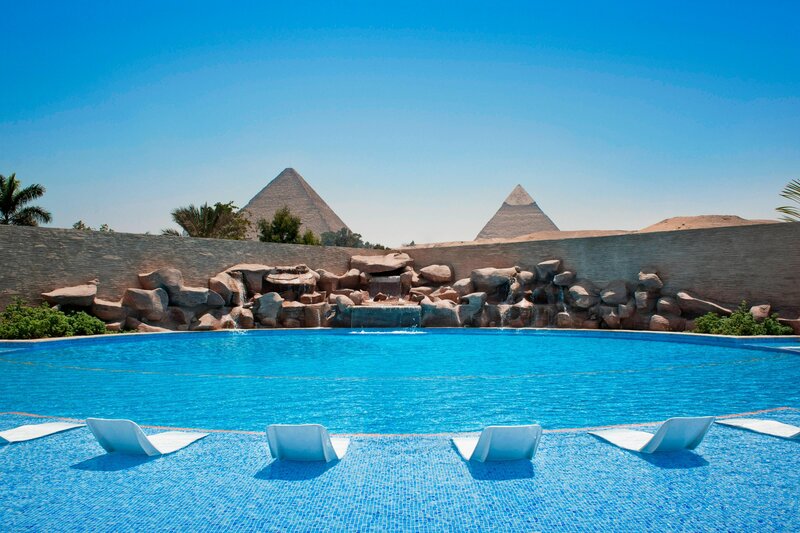 Le Méridien Pyramids Hotel & Spa has two perfect unconnected outdoor swimming pools to fit your desires. Our swimming pool boasts waterfalls and an underwater massage built in its sundeck. It&apos;s a regular shaped swimming pool that is also heated during the winter. Le Méridien Pyramids Hotel & Spa is conveniently located within walking distance of the historic treasures of Egypt, including El Giza Pyramids, the Sphinx and other monumental sights, and is only 15 minutes&apos; drive from the attractions in the city centre of Cairo.Guided tours to historical places of interest, including the infamous Pyramids of Giza, are available by prior arrangement.The hotel is also close to the industrial city of &apos;6th of October&apos;, and the town of Sudat, the modern hub of commerce and business.